I was delighted to be sent a box of ingredients to test out some recipes by Hello Fresh - an online company that makes recipes and sends the exact ingredients for you to use. Even the spices are measured out in the exact quantity so if you're not too good at cooking or sometimes over worked and lazy and just want a quick, delicious and healthy meal - this is perfect! 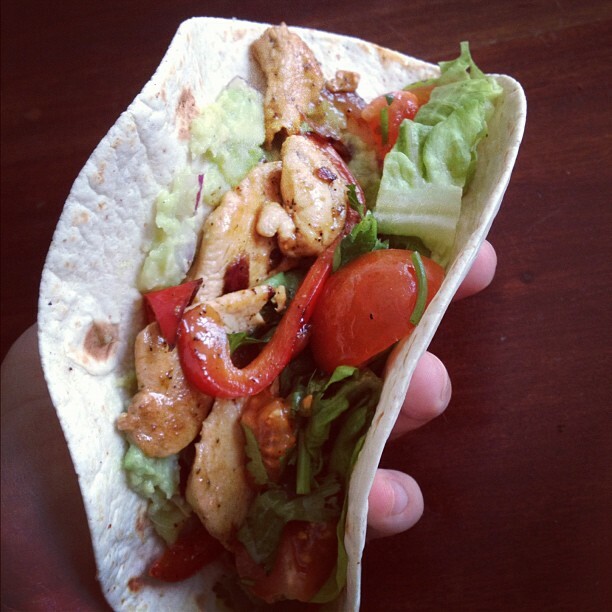 The first recipe I have tried out so far is the Chicken Fajita with Homemade Guacamole. As I have never made this before, (I am not a big fan of Mexican food because I don't like the restaurants I have eaten at in London) I followed the easy to follow recipe card. It took me about 15 minutes to do and I was so surprised how good it tasted. My mum loved it!